Set your faith apart from the rest, with this unique and Australian made rosary bracelet. 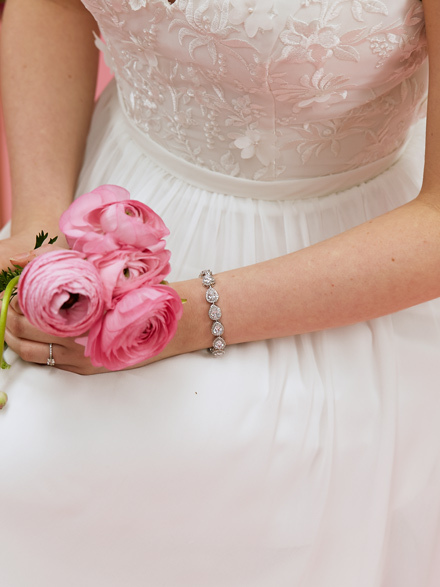 Rock up to your wedding day with our wedding rosary beads and make a beautiful impression that lasts. 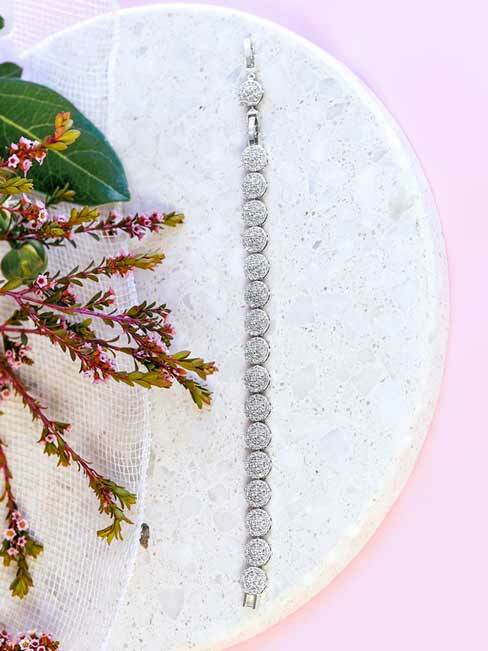 This unique Chic rosary bracelet makes a time less and beautiful statement on your wedding day. Part of our chic collection with the distinctive bracelet made from a swirling pattern covered with swarovski crystals and pearls. Followed by a crystal and pearl chain to our own cross feature. Did you know that we make the cross piece ourselves along with the soldering, plating, bedazzling and construction of each jewellery piece. 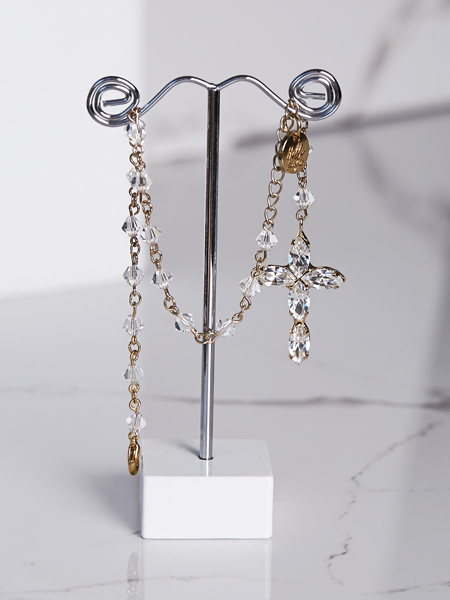 The Chic rosary bracelet is a new twist on our Single Faith Rosary Bracelet with more dazzle that is sure to impress. Match with a sleeveless wedding dress or on with long sleeves for a statement look. 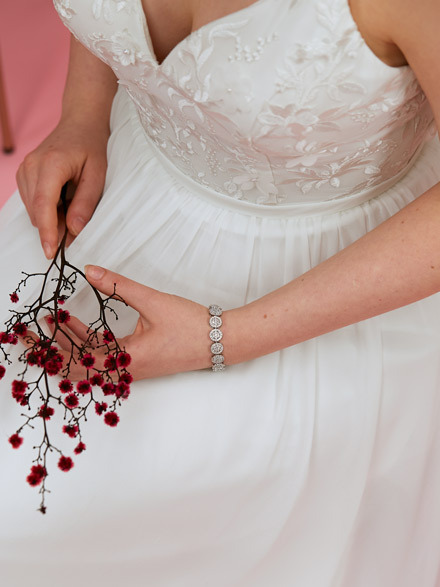 We have paired the bracelet with our Tamworth wedding dress in black. Why not wear to any occasion! 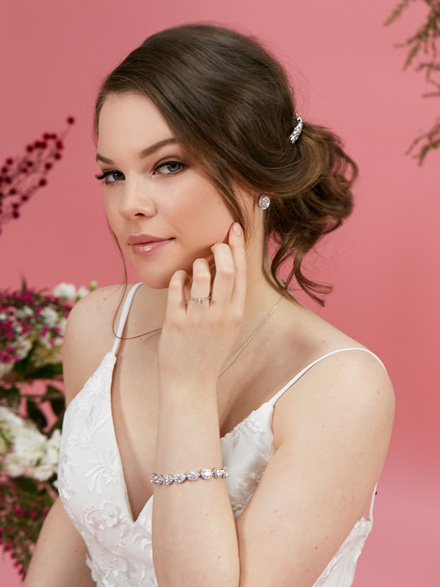 Teaming with the Faith drop wedding earrings could produce a whole new look. Multi size around wrist adjustable for any size wrist. Multi size ring adjustable for any size finger. 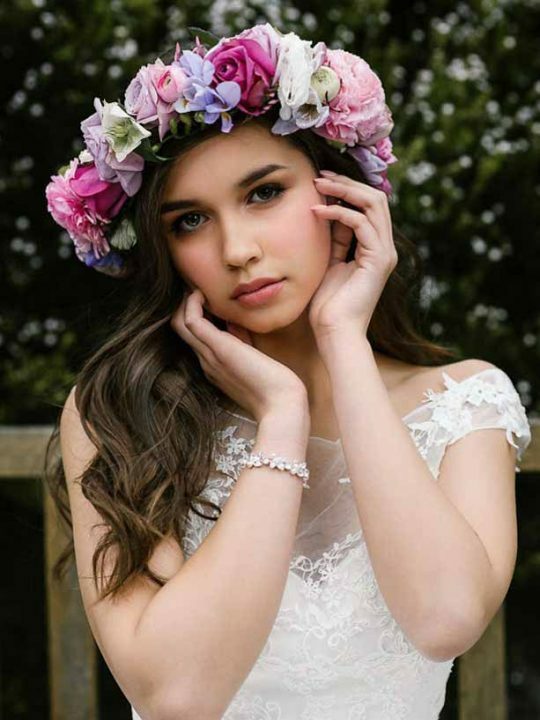 Sizing of this wedding jewellery style. Worried about size? the bracelet has a chain adjustment at the back with a sturdy clasp, if you have thick wrists we can include an extender. The ring part is also easily adjustable. Match with our Faith drop wedding earrings or our chic wedding earrings. Available in store at our Sydney stockist Roman and French.